But that’s not it! We have something a little extra special this year: three additions to our Steam catalogue––Plus+MOSAIC DLC for eden*, (free) adult DLC for Fashioning Little Miss Lonesome, and Alicesoft’s Evenicle fully uncut! I’m sure many of you are wondering what this means for our Steam catalogue going forward. The short version is: we’re optimistic but proceeding with caution. We’ll likely be slowly adding some back catalogue titles to the platform in the coming months, depending on approvals on Steam’s end. Newer titles will be considered on a case-by-case basis (we can’t make decisions like this alone after all, we need the approval of our developers of course). We’re planning to take it a little slow because guidance and precedent with the platform’s new policy on mature content is not super clear and we don’t want to end up in another situation where a title is abruptly pulled and we can’t adequately support our users. As always we appreciate your continued support and patience! Tagged eden*, evenicle, fashioning little miss lonesome, moeday, Sale. « Fureraba – Friend to Lover ––Now On Sale! Evenicle on Steam, never thought I’d see that. Bring Maidens of Michael back to Steam. Submit it again for approval as new game. Other developers did that and it worked. So, the only way to get this also on steam is to buy it again? Or will users who bought the game here get steam keys to register their copies there? 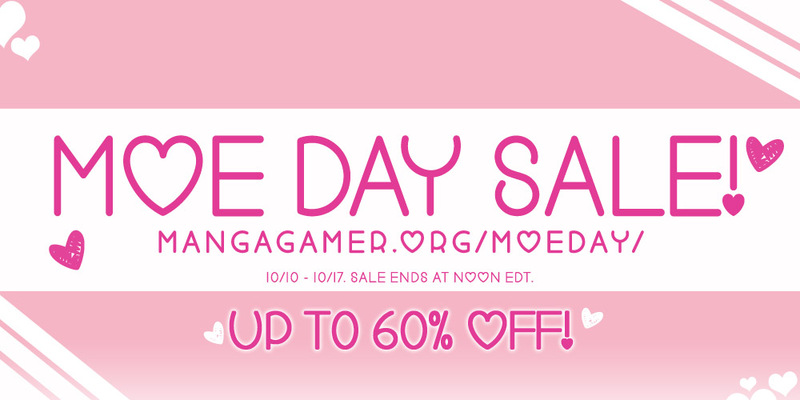 I think there’s a mistake in the Moe Day Sale, D.C. I.F. is the all-ages version of Kotori EXP isn’t it? It’s labelled as 18+ in the sales. Translate Gaiden 2 and Gaiden 2 After -Osutashia no Yabou- As well. i will definitely buy. 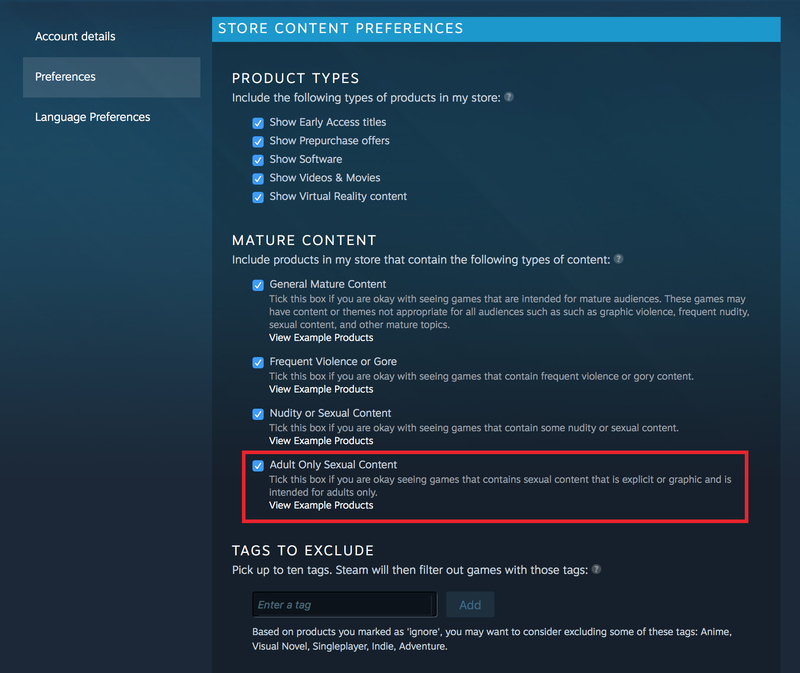 A little suggestion, but could you add a gameplay tag to your store. You have quite a few visual novels now with some sort of gameplay, 3rd party titles like Kagura Games too and it would be pretty neat to get a gameplay tag when I click directly on titles like Evenicle to show me other titles with some sort of gameplay. It’s questionable why considerable amount of Countries are forbidden to buy for newly released titles. It could have been understandable if titles were released and got taken down after that country government’s sent requests for take down. So you’re doing such prohibitions prior means either it’s sadly a Racist behavior or similar. Considering you’re not the only one making such games, suit yourselves losing customers not on those countries but also due bad publicity of your such action bring along. It’s questionable why considerable amount of Countries are for-bidden to buy for newly released titles. It could have been understandable if titles were released and got taken down after that country government’s sent requests for take down. So you’re doing such pro-hibitions prior means either it’s sadly a r-a-c-i-s-t behavior or similar. Considering you’re not the only one making such games, suit yourselves los-ing customers not on those countries but also due b-a-d publicity of your such action bring along. The titles are all still available on MangaGamer’s website. You cam buy it there.